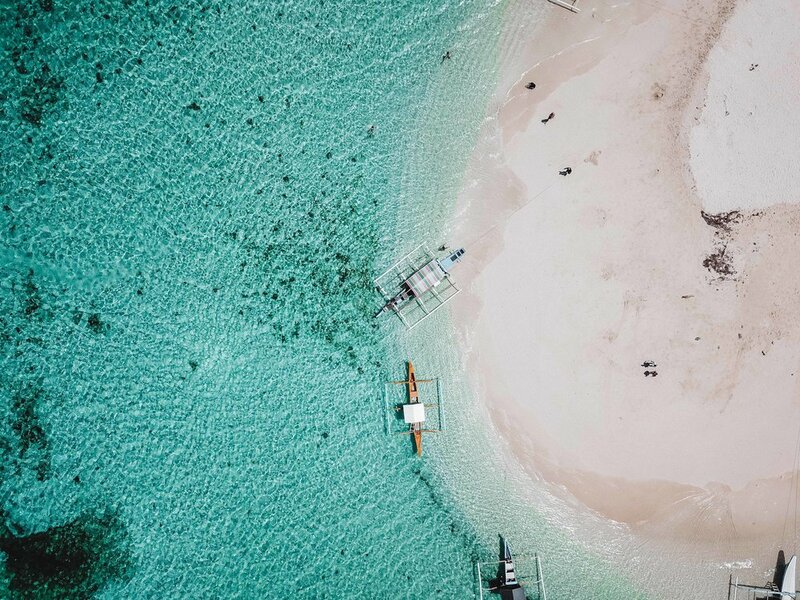 I had been travelling in the Philippines for the past few weeks and had been to El Nido, Coron and Moalboal. Siargao was the last island I was visiting before heading home. Cloud 9, Jacking Horse, Stimpys, Pacifico, Rock Island, Guyan (secret beach). 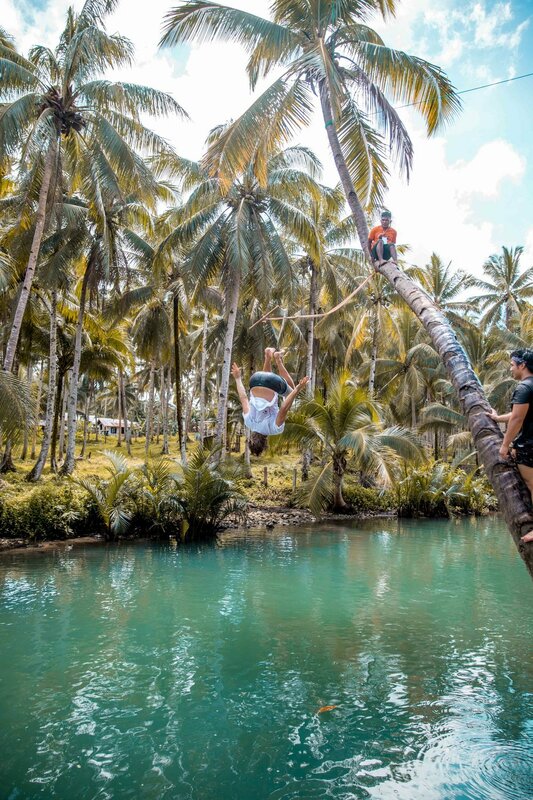 Even if surfing isn’t your thing, Siargao has so many other amazing things to do and other places to explore. Below if my itinerary and what I got up to in the 8 days I spent there. Getting to Siargao started off a bit rocky and took a lot longer than we initially expected. We had a flight booked from Cebu but unfortunately it was cancelled. We were diverted on a flight to Buthan (another Philippine island) which was then a 3 hour drive to the ferry port. By this point it was around midnight and there were no ferries until the morning. We found an airbnb to stay in for the night and woke up at 5.30am to catch the 6am ferry from Buthan to Dapa in Siargao. It was a 3 hour ferry ride and super easy. From Dapa we caught a Tuk Tuk for 45 minutes to our Airbnb. This airbnb was super lovely - situated a little out of the town itself meant that the neighbourhood was really peaceful. We stayed in this Airbnb for 2 nights. The drive into town was about 10 minutes via motorbike. 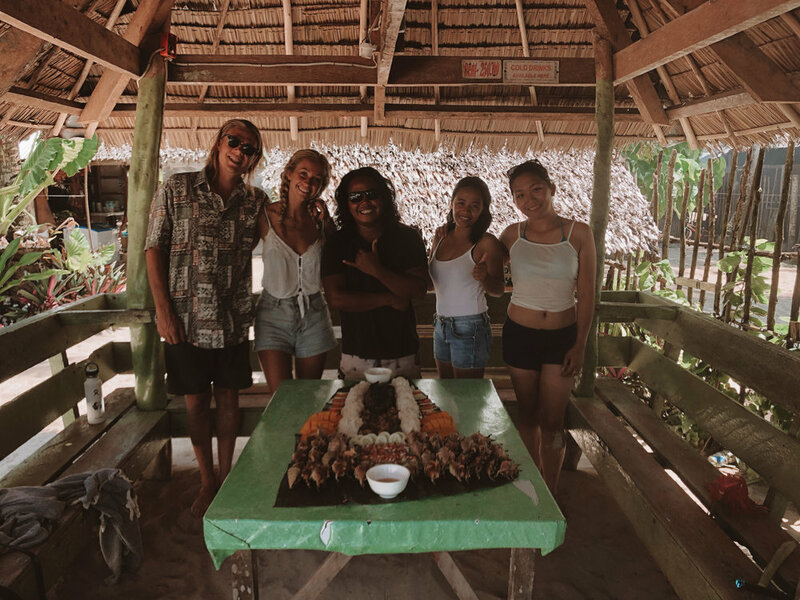 We headed to Shaka where we had a smoothie bowl and then headed out to explore a little of Siargao. Today was my birthday and it was also the day that it decided to thunderstorm for the first time our whole trip :’) so we had a super relaxed day and I got totally pampered. 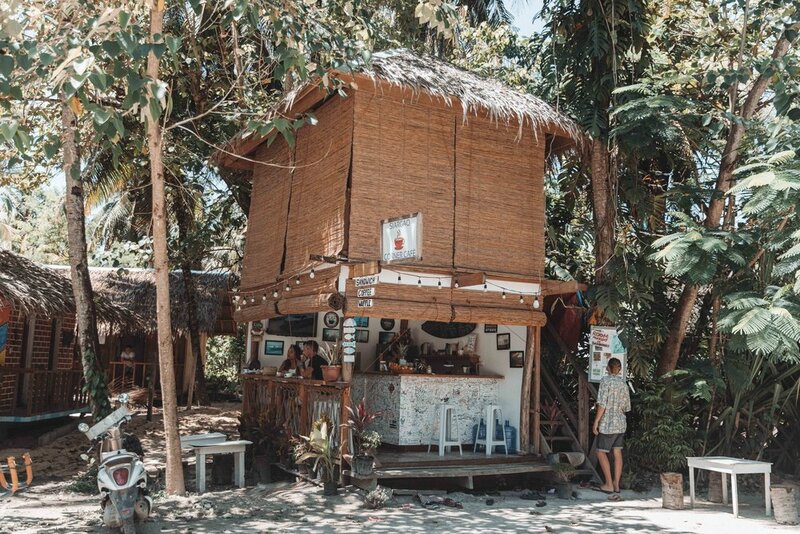 Yoga goes hand-in-hand with surfing so there are lots of places popping up in Siargao where you can get your hit of Yoga. One is Sunrise Yoga in White Banana Beach Club, a super lovely place (also amazing for cocktails in the evening or for a few pre-drinks before heading out into town!). The other I found was Buddha’s Surf Resort. I don’t often pamper myself, especially when travelling, but a birthday is the perfect excuse for a little bit of girly time! I headed for a lovely massage and pedicure at Sirena Spa - very cheap and the girls there are so lovely and do a great job with nails! In the evening, I headed for sunset Cocktails at White Banana Beach Club and then for dinner at La Carinderia - probably one of the tastiest Italian food i’ve tasted for a long time. The menu has a lot of variety and is great for vegetarians! If you go you must try the Pumpkin Balls as a starter! 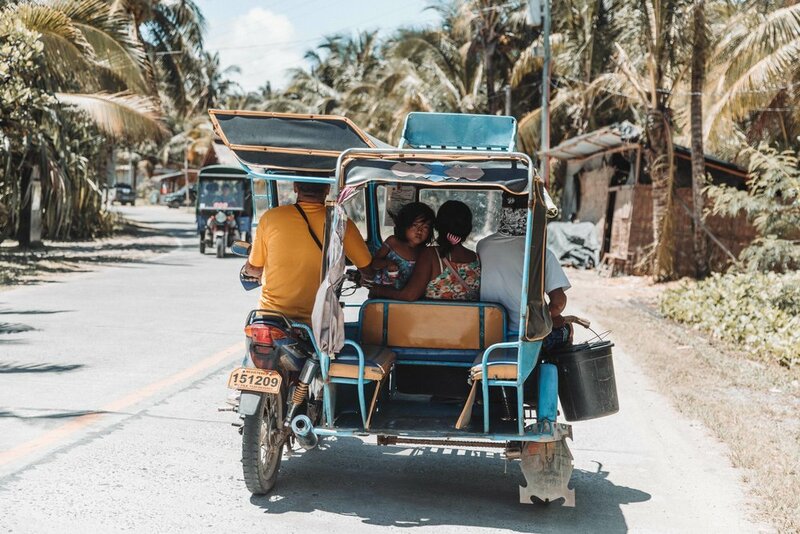 Nightlife is a big part in Siargao and different bars seem to host different nights of the week - the locals/bar owners and other travellers will know which bar to go to which night so make sure you ask as there’s some evenings you don’t want to miss! Rum Bar was where to go this evening - a club situated a little further out of town. Drinks are cheap and there’s a big dance floor! Jacque is super lovely and this airbnb is perfect! Super clean, great location and really comfortable - highly recommend! We headed for breakfast at Deli Street (Spanish cafe with amazing bread and cheese) we had a super tasty baguette with hummus, cheese and grilled veggies. Then came time to explore a little more of this island! 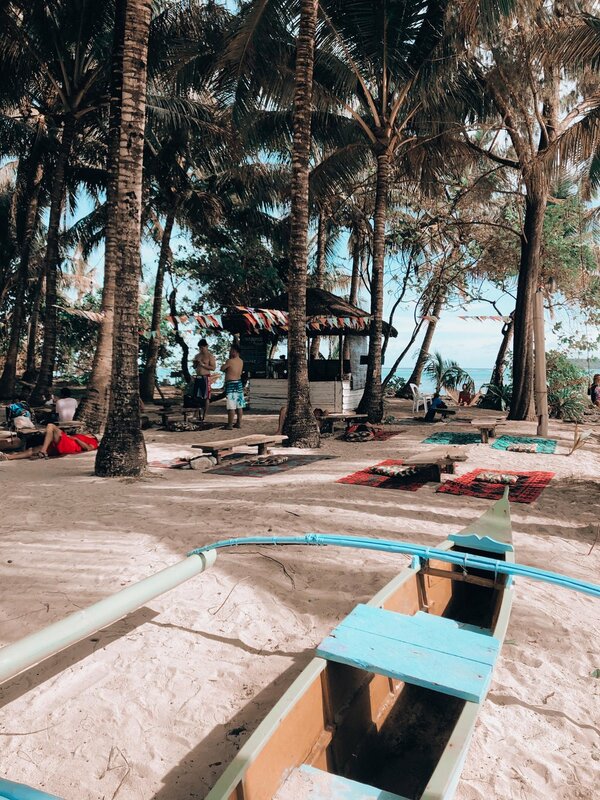 We went in search for the rope swing that’s situated around 40 minutes outside of General Luna and it didn’t disappoint! 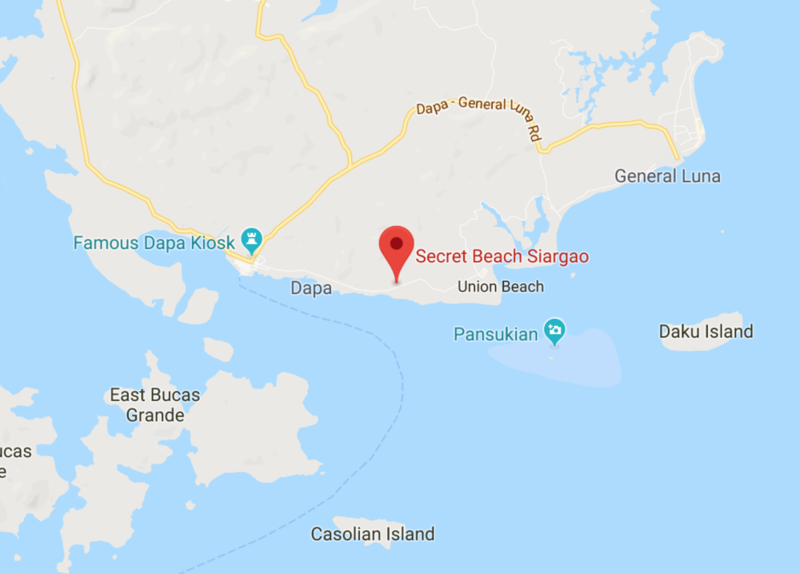 The best way to find this is to head to Maasin Bridge, as you are driving over the bridge, look to the left and you are likely to see people swinging off the swing. There is also likely to be a few locals there to help you in the direction. A little further up the road is the most magical view of palm trees i’ve ever seen. It’s been nicknamed Palm View, for obvious reasons. Make sure you head up to the cafe on the left for a coffee and a seriously magical view. Around 30 minutes from here further along the main road, you’ll get to Magungko Rock Pools and Tayangban Cave Pools - unfortunately we hit the tide times wrong and couldn’t actually reach them (make sure you check tide times before visiting!). 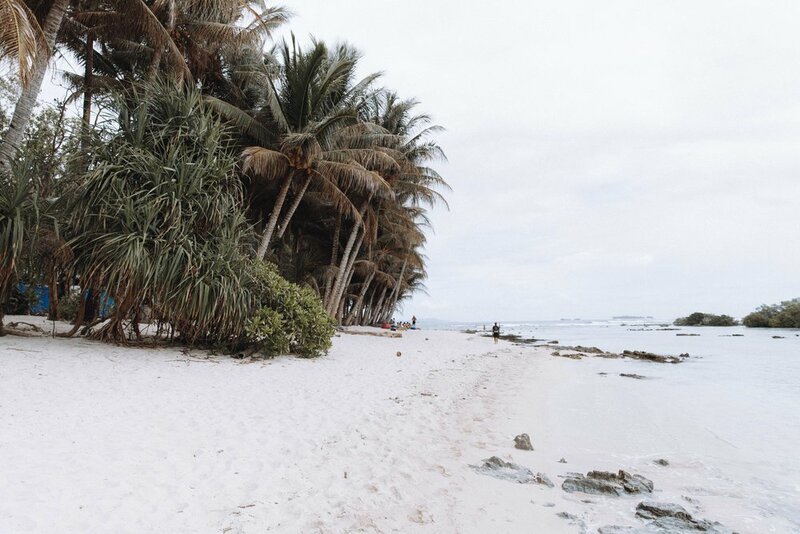 The walk to the Magungko Rock Pools is beautiful as it takes you through a huge amount of Palm Trees and along a stunning stretch of beach. 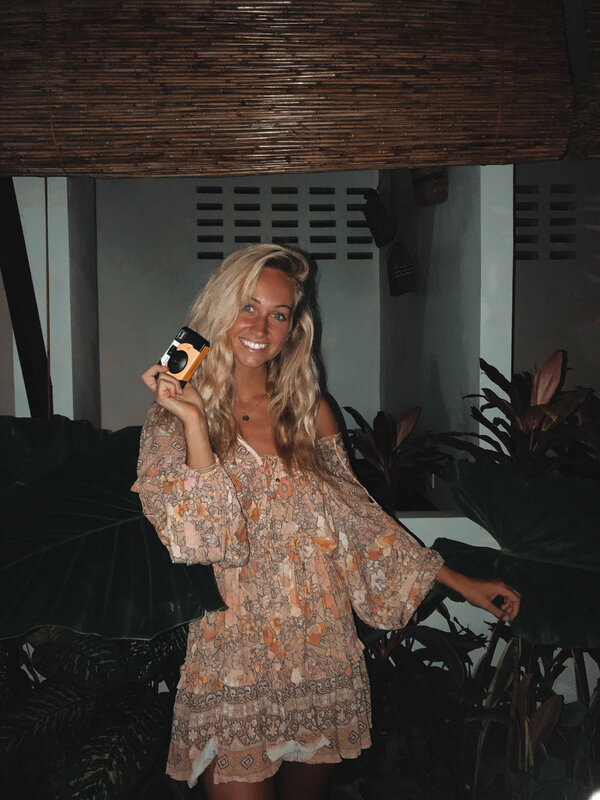 After a day of exploring, we headed to Buddha Thai Restaurant which is apart of Buddha Thai Resort - highly recommend! The curries here are amazing and well priced! I spent the morning working on my laptop in Kawayan Gourman - amazing cafe for laptop working, coffee and pastries! After catching up on some emails and editing we headed to Doot Beach. 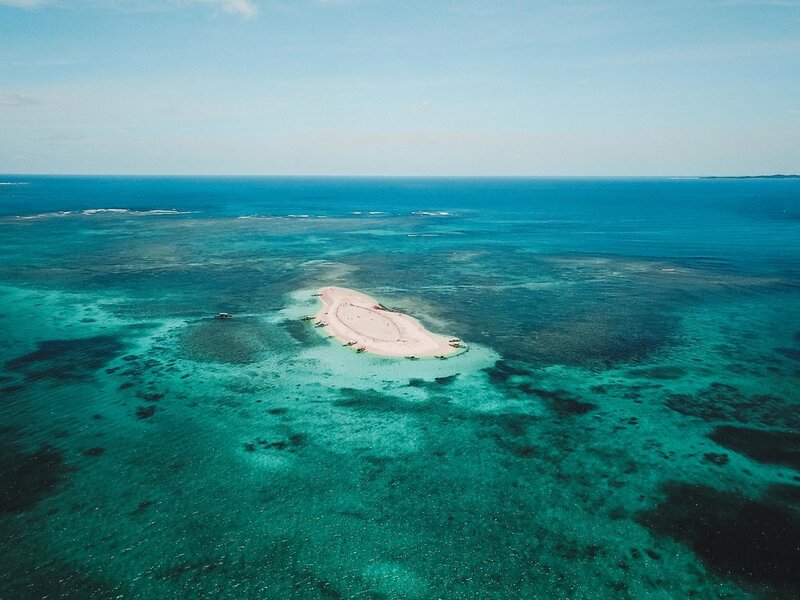 This beach is an absolute must, it’s a 15 minute drive from General Luna. It’s more of a locals beach but absolutely stunning and super quiet! A perfect place to read a book or catch up on some sleep if you’ve been enjoying the nightlife a little too much! 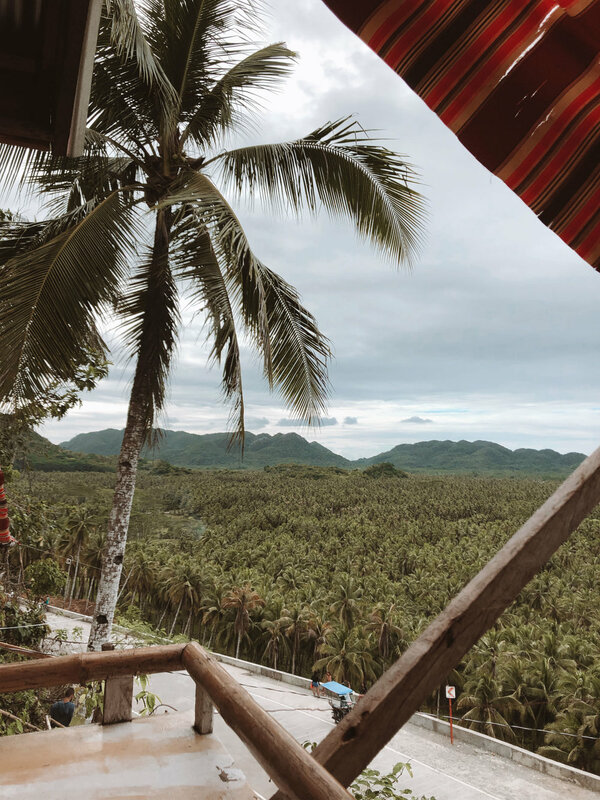 We head been to dinner at Altrove in El Nido and Coron and absolutely loved it, so it would be silly not to head to the Siargao restaurant! Super tasty wood-fired pizza and fresh pasta. It’s a little more pricey than the other restaurants but well worth it! 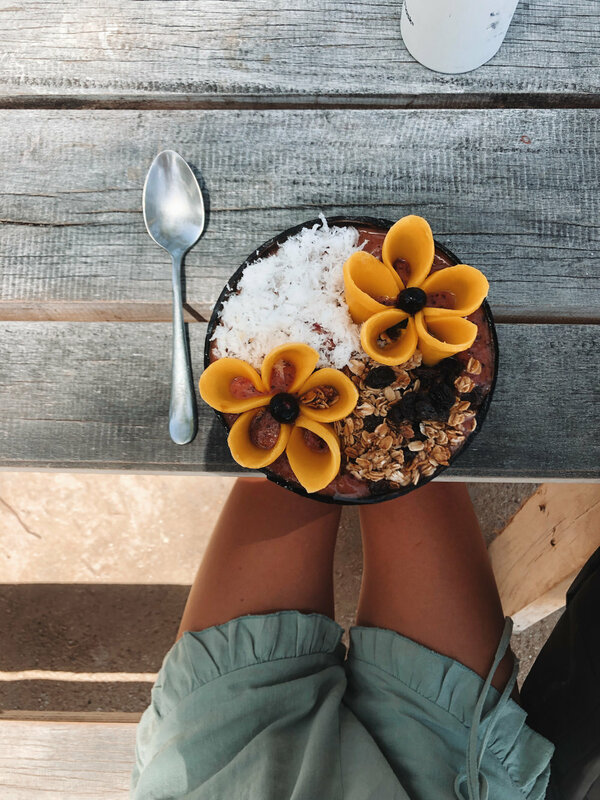 A bowl costs around 220 peso (£3.20) and is the perfect energy fueler for an afternoon of adventure! 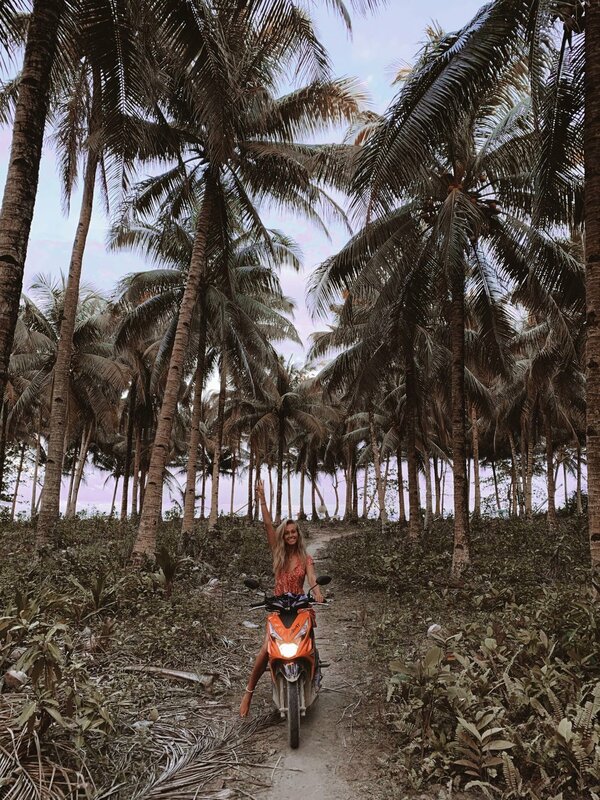 We headed off on a big motorbike drive further around the island. 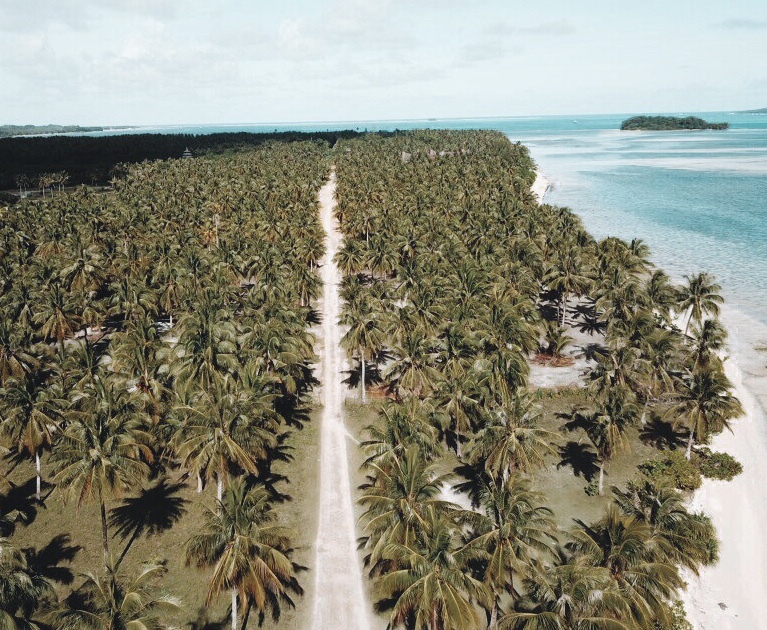 Having been to a lot of other islands in the Philippines, Siargao has the best roads to drive on - they’re super smooth and offer amazing views. We stopped off at the rope Swing at Maasin Bridge again before driving through sunset and heading back to eat dinner at Miguel’s! A super cheap burrito and Tacos Bar. ﻿Today was spent visiting the local islands: Naked Island, Daku Island and Guyam and this is an absolute must. Mawee’s Surf and Tours is who I booked through - June the owner is an absolute legend and makes the whole day so much fun. He has a huge amount of energy and I cannot recommend him and his boat/crew enough! The cost was cheaper than any other tour operators I found and definitely cheaper than heading to the main port! 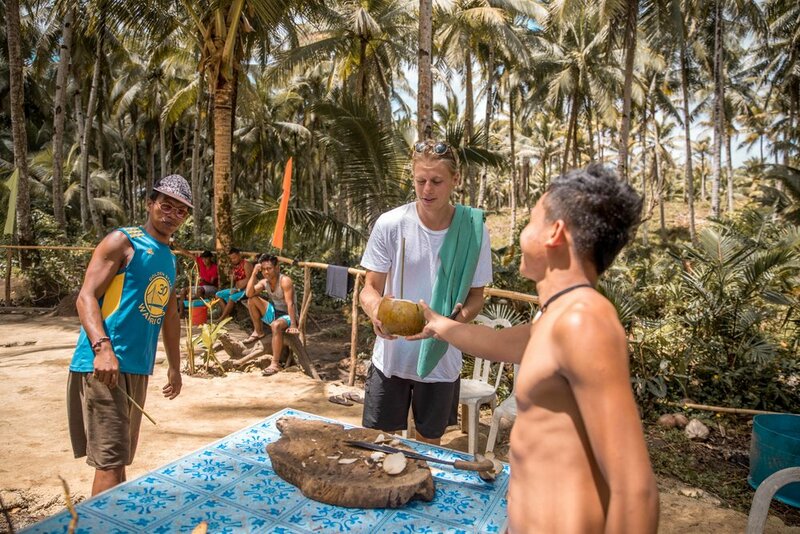 The cost for the island trip was 1000 peso per person for a full day including lunch (£14.70). All the other tours I had seen were 1500 peso, so definitely worth heading to Mawee. 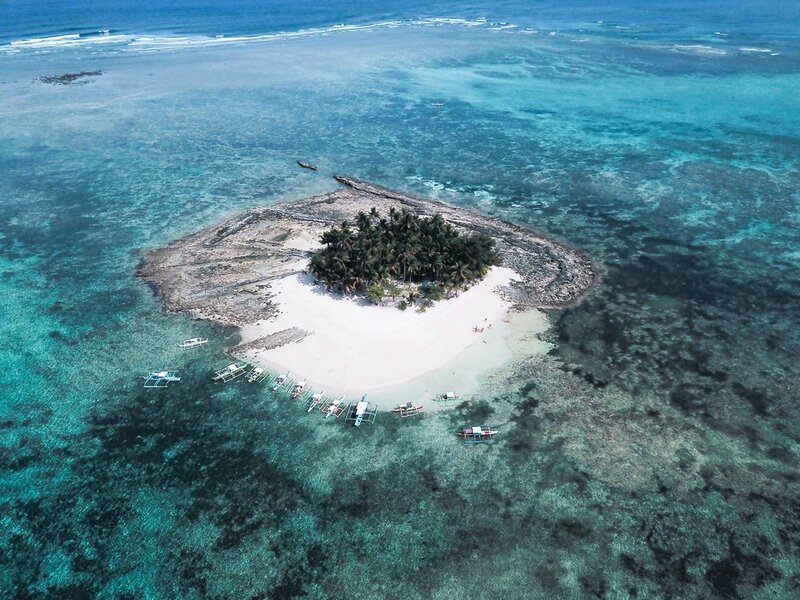 This island is a little larger and also has a lot of palm trees on it. We had some time exploring around here - I really recommend going on a little walk around the island, there’s lots of spots where you can have a whole bit of beach to yourself! June and his crew make the most amazing dinner of fresh tuna, rich, shells and mango. You all sit down together and tuck into the tastiest fresh Tuna I have ever tasted! Make sure you ask June lots of questions, he has some interesting stories! Today we headed for Secret Beach, also known as Guyan. 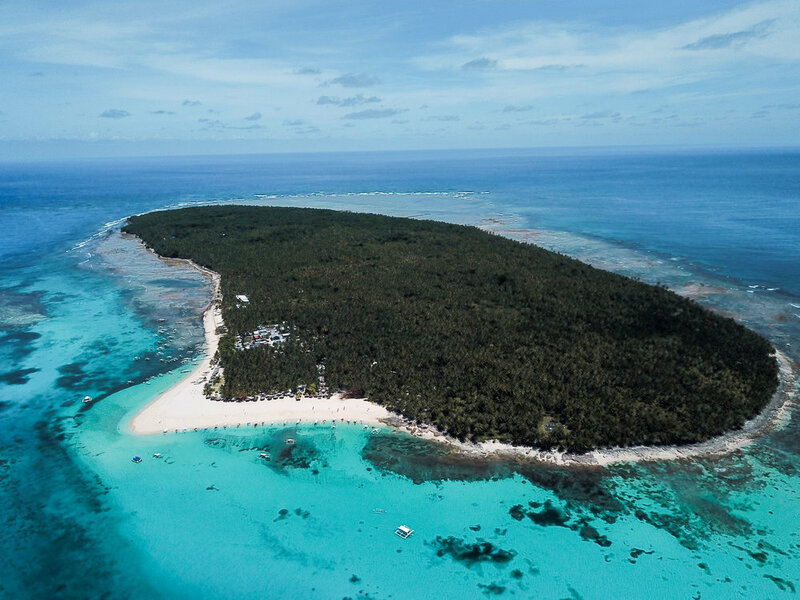 It’s great for surfing and if you want to have a little bit of paradise to yourself! It’s a little tricky to find but absolutely worth the hunt! If you head to the pin point on where Google Maps directs you, it’s been updated and it’s pretty spot on! The trick is to look out for a few random mopeds and motorbikes parked on the side of the road and a small sign on the tree that has ‘Guyan’ hand painted on it. 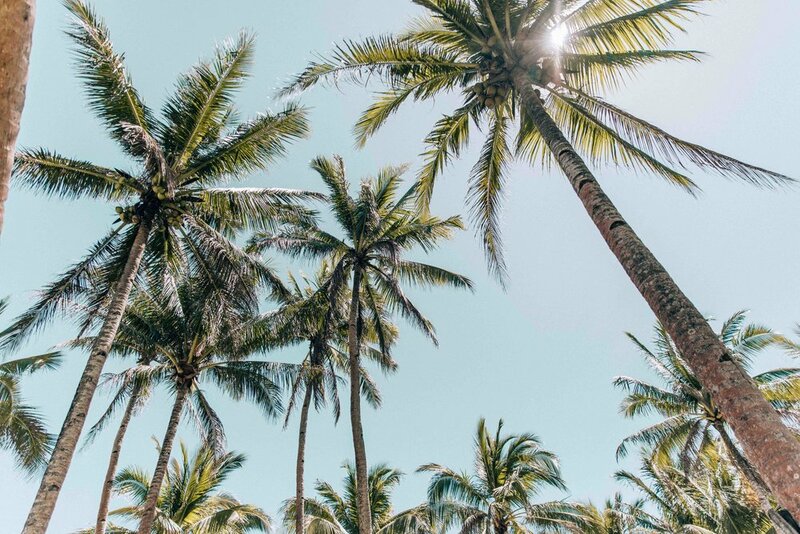 Park up here and head to the path through the Palm Trees. Walk to the end of this path (around 10 minutes) and you will make it to Secret Beach! It’s super peaceful and well worth the visit! This morning we moved to our final accommodation and my absolute favourite, Katmon House. This place was pure paradise and I would highly recommend staying, even if for one night! We headed for lunch at Ono Poke, great for those who love the Hawaiian Dish! We then went to the beach by Cloud 9 Pier. It’s such a great place to hang out and watch the surfing. There’s beanbags, hammocks and a small cafe to enjoy. Down the beach is Shaka Cafe which has great smoothie bowls and coffee! 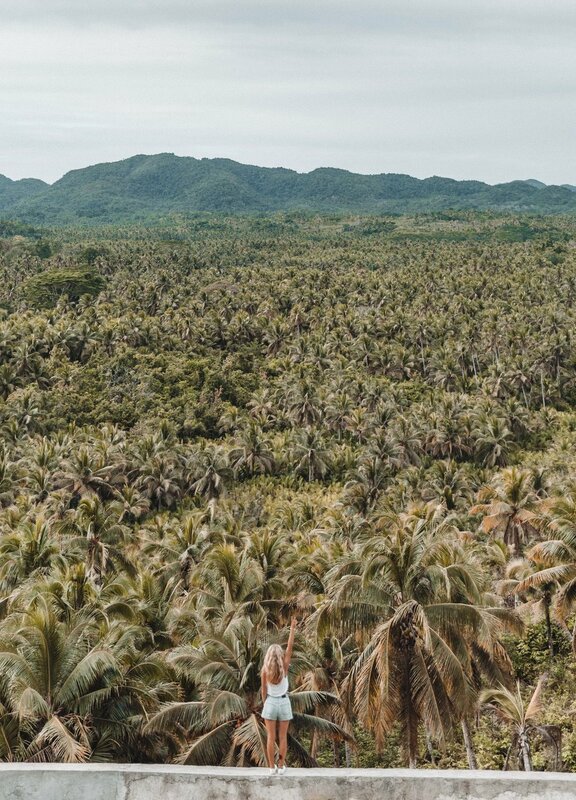 Siargao is an island full of adventure, places to explore and pure paradise to discover. It now holds a really special place in my heart and I cannot wait for my return.